The library fiction shelves show fleeting glimpses of new material before it’s whisked away by our literature loving patrons. Luckily, we have a list of some of the great new fiction titles for you to peruse at your leisure. These bring you the lives of people informed by authors exploring the cultures of Mexico, Ireland, Australia, Nigeria and Aotearoa New Zealand. 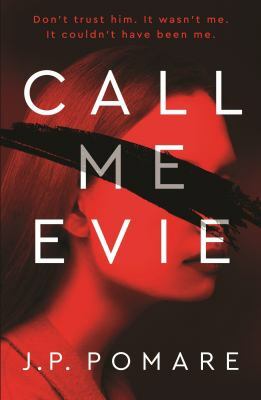 Debut author Joshua Pomare has been drawing acclaim for Call me Evie, his work of suspense is set in the small coastal community of Maketu. Delving into our fallible memories this book takes the reader through layers of reality and plot twists that leave you guessing until the very end. Call me Evie / J.P. Pomare. Our fiction collection brings you the talent of local writers and international award winners. Those brave enough to write out their inner workings or extrapolate on the world around them. So whether you enjoy untangling a thriller with unexpected plot twists or delving into the imagination of the world’s best fantasy writer maybe a reader’s favourite out there will be your next favourite too! Wellington City Libraries is lucky enough to have eleven branches throughout the city. It’s no surprise that each branch has it’s own particular set of reading loves. This month the most popular ten reads is brought to you from a mystery location, maybe it’s the branch you borrow from? The furthest station / Ben Aaronovitch. Why mummy swears : the struggles of an exasperated mum / Gill Sims. Everything is lies / Helen Callaghan. Wild fire / Ann Cleeves. End game / David Baldacci. The after wife / Cass Hunter. 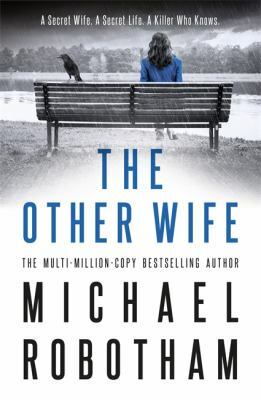 “When Rachel and Aidan fell in love, they thought it was forever. She was a brilliant, high-flying scientist. He was her loving and supportive husband. Now she’s gone, and Aidan must carry on and raise their daughter alone. But Rachel has left behind her life’s work, a gift of love to see them through the dark days after her death…a gift called iRachel. 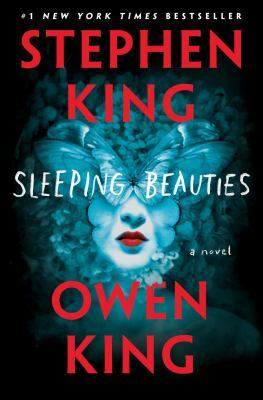 Sleeping beauties : a novel / Stephen King and Owen King. “In a future so real and near it might be now, something happens when women go to sleep: they become shrouded in a cocoon-like gauze. If they are awakened, if the gauze wrapping their bodies is disturbed or violated, the women become feral and spectacularly violent. And while they sleep they go to another place, a better place, where harmony prevails and conflict is rare. Our most popular Fiction. Who’s reading what? October is the season of book awards, with the Man Booker award and the Dagger awards from the Crime Writer’s Association. Also this year, in lieu of the Nobel for Literature, the librarians of Sweden had a hand in the New Academy for Literature. Selecting the author who has told the story of the “humans in the world”. Using a global open vote, the Laureate Maryse Conde from Gaudeloupe has been awarded top prize. Taking this idea to heart we have created a list of the most recent popular reads here at Wellington City Libraries, books are rated by number of issues across the system. There are a few themes running through the most popular reads, the way World War II upturned the lives of many and how loss leads to new experiences. Wellington readers seem to love a well crafted thriller that keeps readers guessing as to motives and methods. One surprising entry is the Walking Dead series of graphic novels, which has proved to be hugely popular with our readers.